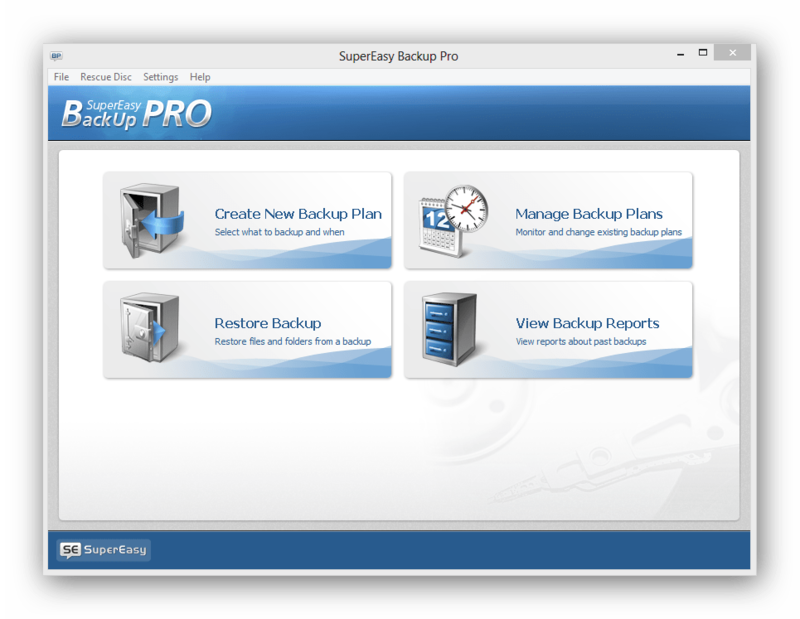 Hi guys, today TechnoGiants is offering its 32nd Giveaway which is SuperEasy Backup Pro, which is an awesome software. When it comes to backup or secure hard disk even I got scrambled what to take or what to not but with this I always feel so protected that my data is always safe on secure hands. I am saying this because I know it as I am currently using it. 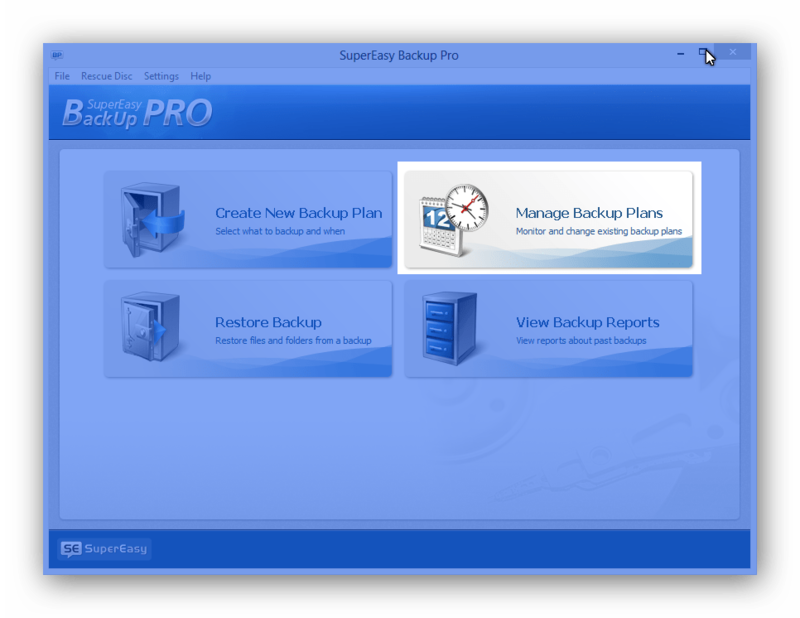 SuperEasy Backup Pro is a great backup software that was designed from the start to work fully automatic. You simply specify what you want backed up and when and then the software takes care of the rest. 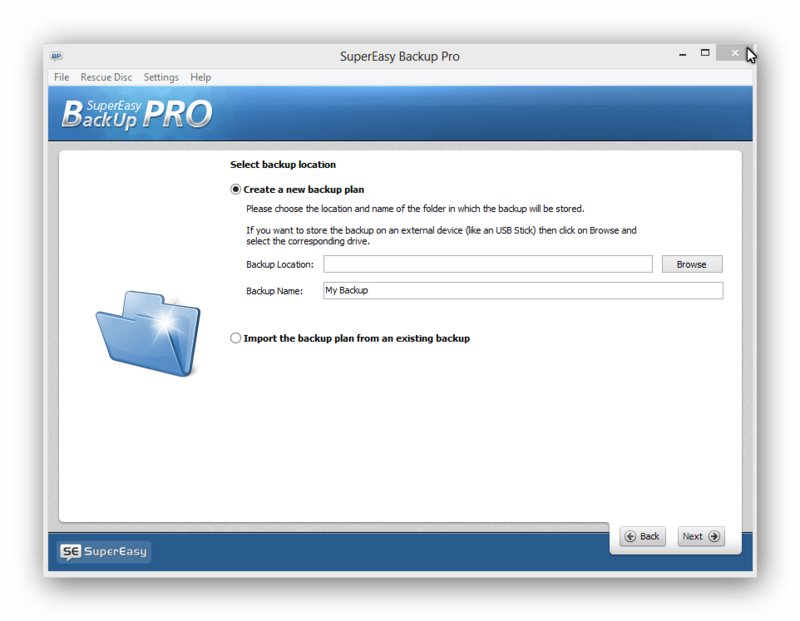 SuperEasy Backup Pro offers a comprehensive solution for backing up all your important data such as photos, documents, music, emails, applications, contacts, your calendar – simply everything with automatic file version changing. Also it’s offer a fast and easy data restoration. 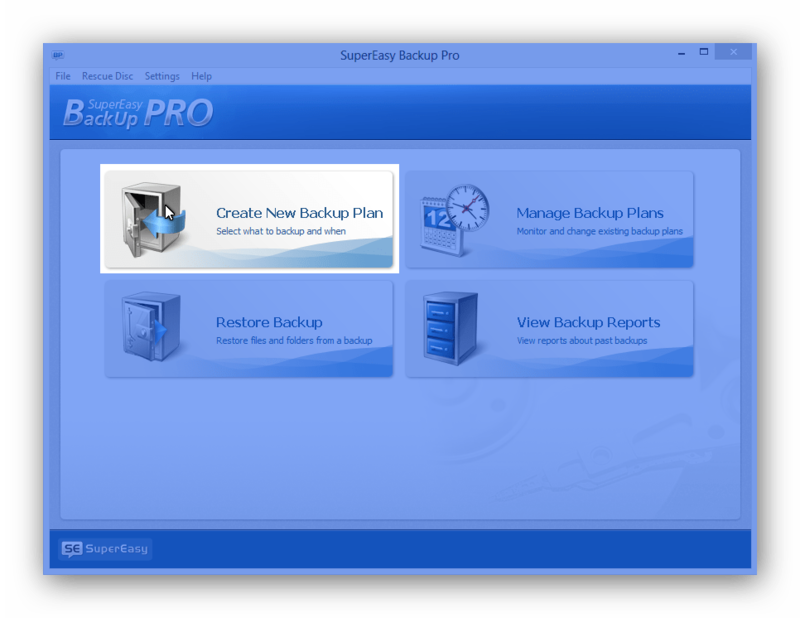 SuperEasy Backup Pro is really easy to use as it has a very friendly interface and requires no technical knowledge at all. 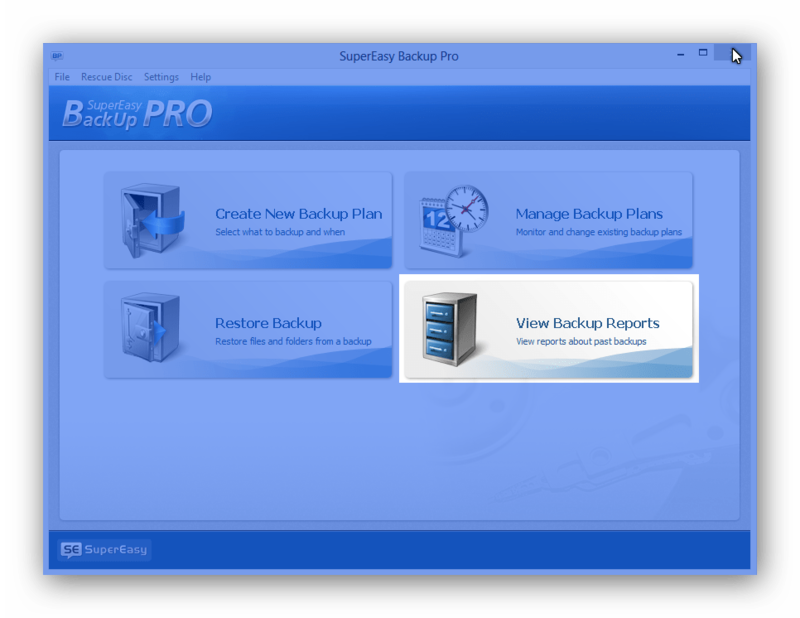 With the software’s scheduled automatic backups you simply select what to back up and when and that’s it. The software will automatically keep your data safe! The software uses a wizard like interface to create each task, manage schedules etc. The scheduled backups are run as background tasks. The software is able to verify backup archives and create backup reports. Lets move further for more to know about it. 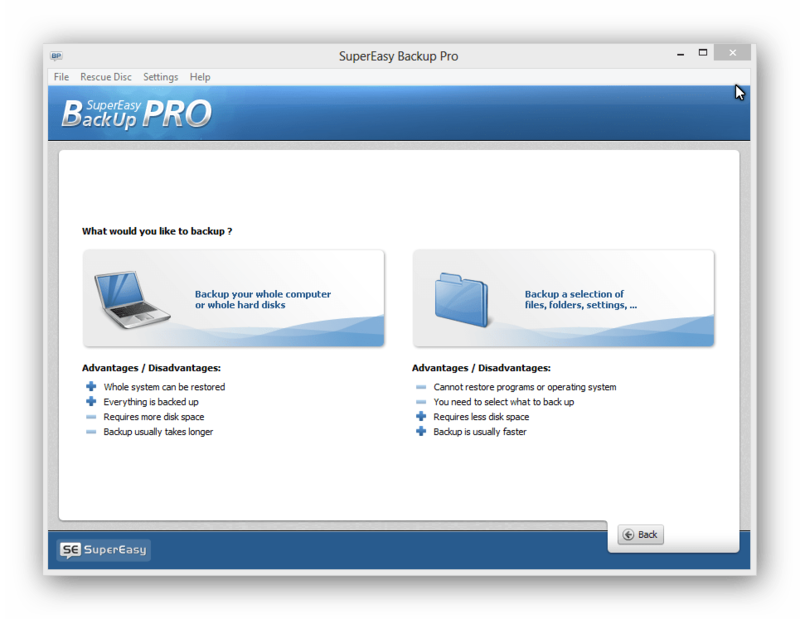 It gives you a choice to create backup your whole computer or a complete hard disk (image based backup) and also backup a selection of files, folders and application data (file based backup). Image based backup backs up everything on your hard disk. You can easily restore your whole computer if you have a hardware problem and you can be assured that all your data is backed up. But it also requires more space on your backup medium. File based backup requires less space, but it also means that you need to select what to back up. Also, your operating system and applications cannot be backed up in this mode, just files, settings and application data. You need to choose a folder where the backup data will stored. This folder should not be on the same hard disk as the files that you would like to back up. Otherwise if the hard disk is broken your backup will be gone as well. If you would like to store the backup on a network share then you can enter or select the corresponding network path. You can secure your newly-created backup by using a strong password and also you can further adjust the compression and encryption algorithms too. In the final step you can schedule your backups which can be performed every day, on a weekly basis or according to a custom schedule you made it. You can also skip this step if you prefer to backup your files manually, whenever you want it. If you already have an existing backup and simply want to re-import the backup plan that was used to create it, then simply select the folder where the backup was stored and click on next. The screen allows you to control and observe backup plans. If you have more than one backup plan then the screen will only show one at a time. 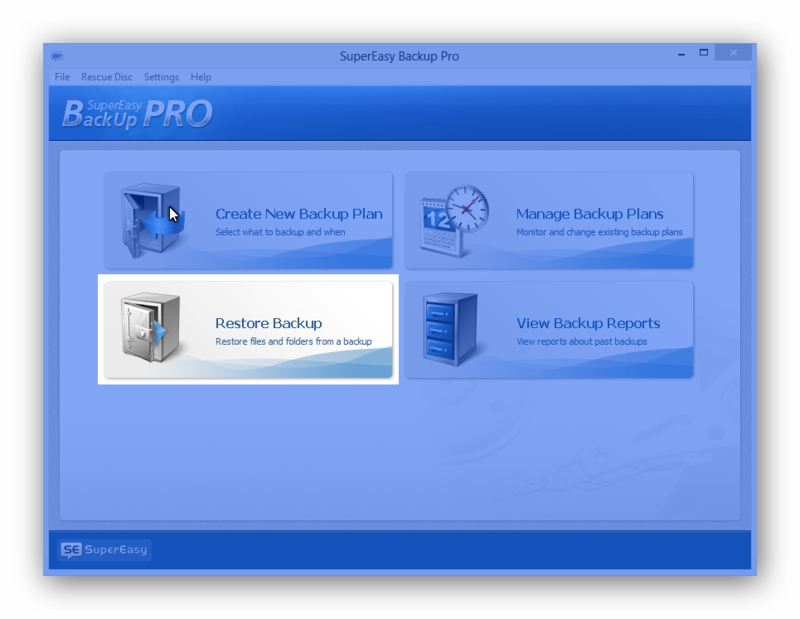 You can change which one is displayed by clicking on Select Backup Plan in the top right corner. With this option you have to select the folder that the backup is stored in. The program will also display the backups it already knows about, so if the one that you want to restore is one of those then you can simply select it i.e. backups you made on another computer, or before reinstalling your system. The software can create a report every time it creates or updates a backup. These reports contain statistical information about the backup, like the number of files and folders that have been changed or deleted, or the number of errors that occurred. Reports can also contain detailed information about the contents of the backup if they have been configured that way. Click here if you want to download the trial version and try it. 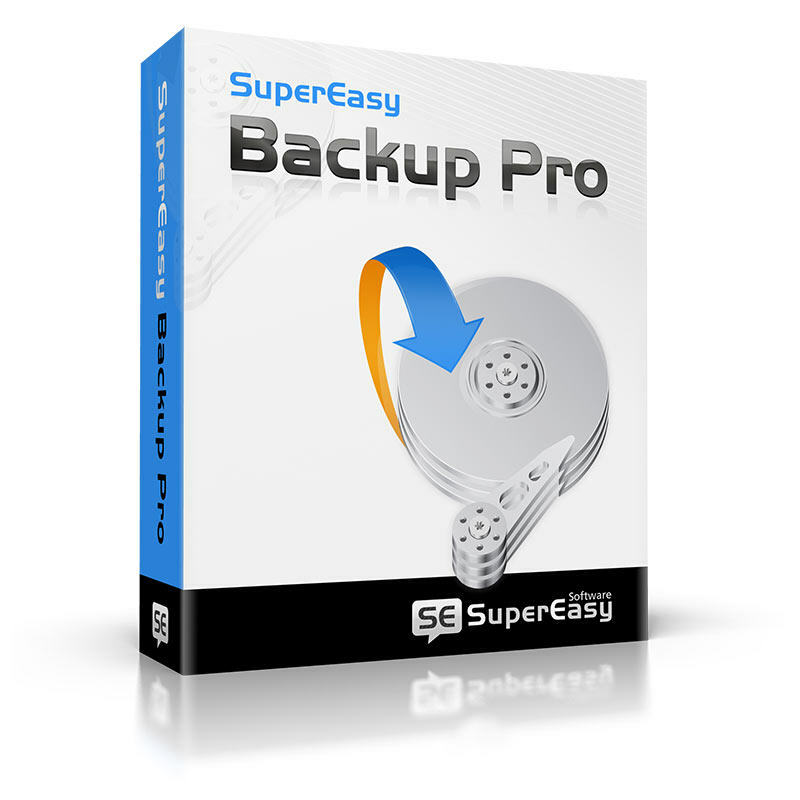 How to Get Free SuperEasy Backup Pro License Worth $39.95? Thank you and Best of Luck to all readers.